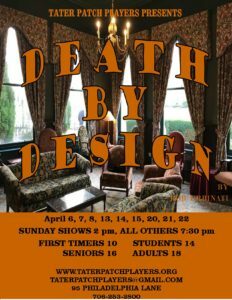 Set during a weekend in an English country manor in 1932, Death by Design is a funny tribute to the classic, witty English murder mystery. A playwright, his wife and numerous unexpected guests arrive at a country house. When one of the guests is murdered, it’s left to Bridgit, the feisty Irish maid with a macabre interest in homicide, to solve the crime. Exciting events are taking place in the arts and cultural realm in Pickens County right now! Come and be and be a part of history being made, not only in our county, but in Georgia! 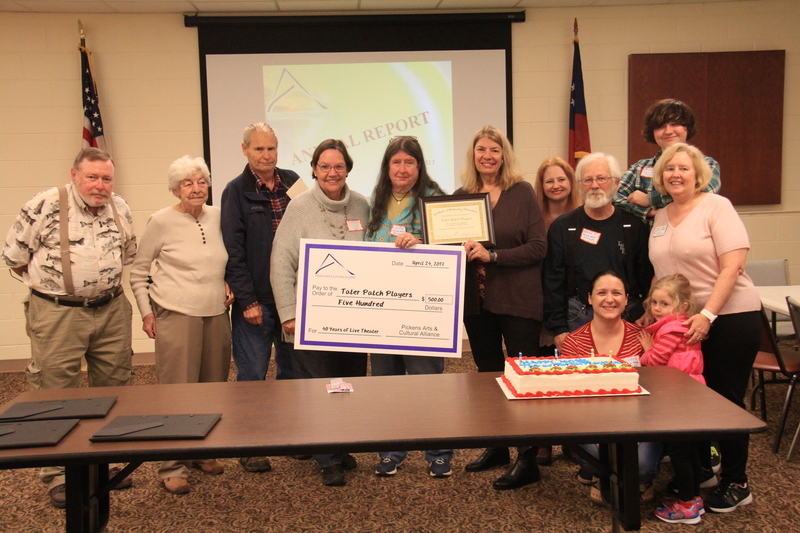 Pickens Arts and Cultural Alliance will hold its Annual Meeting at the Pickens County Administration Building on April 10, 2018. The meeting will be held in the Pickens Room. New Board of Directors will be named as well as Advisory Board members. A progress report and on achievements in the community and plans for the future will be revealed. The meeting is open to the public so don’t miss out! We will start at 6:00 pm with chili, cornbread and good old southern sweet tea! Creative works from Pickens County art students in grades K through 12 will be on display at the Southern Appalachian Folk School, 255 Chambers St, Jasper GA 30143. 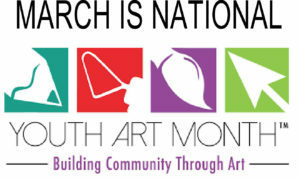 This multi-media exhibit, sponsored by Pickens Arts & Cultural Alliance (PACA) and Southern Appalachian Folk School, highlights Youth Art Month, a national celebration sponsored by the Council for Art Education. 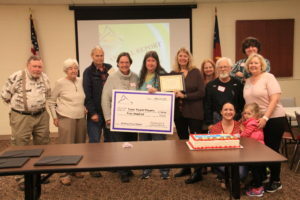 The annual celebration, which typically takes place in March, emphasizes the value of art education for all children and encourages support for quality art programs in Georgia schools.